I may be mistaken but I believe Nyonya Curry Laksa is a style of spicy noodles soup from Malacca. 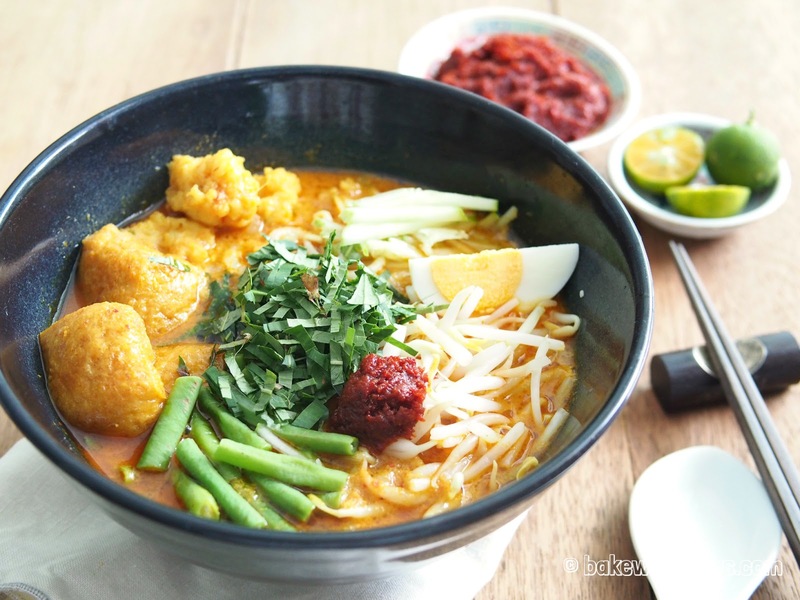 It is different from the Penang Curry Laksa which we refer to simply as "Kari-Mee" in Penang. 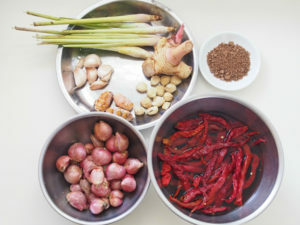 The Penang style of Curry Laksa is not as "lemak" (with coconut fat). 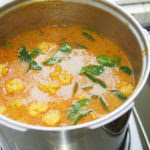 I love both styles but I still haven't figured out the ingredients for a Penang Curry Laksa yet. 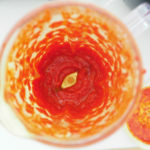 I am working on it though and will share it when I do find a good recipe. 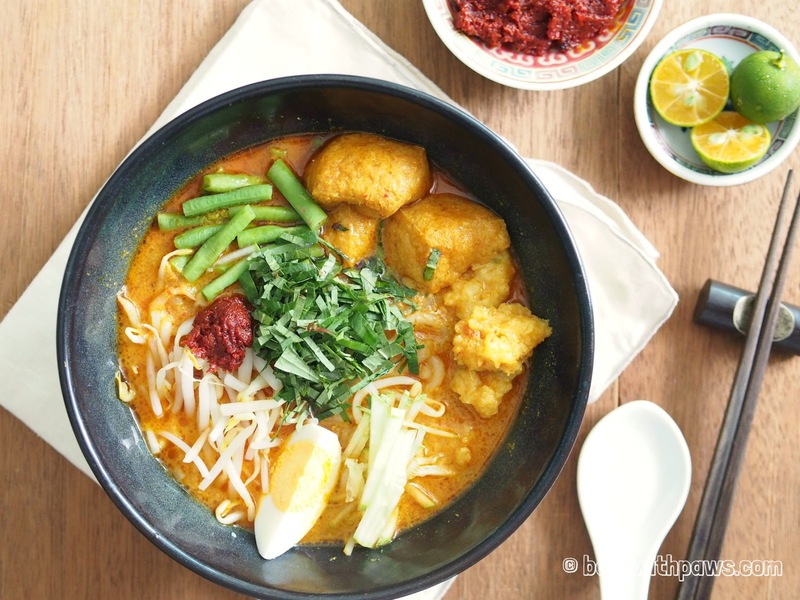 I cooked this Nyonya Curry Laksa for my family last weekend for the first time and it turned out delicious, everyone loved it. 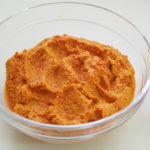 If you have any questions regarding this recipe or any other post, please leave me a comment in the “LEAVE A COMMENT” link and I will reply you as soon as possible. 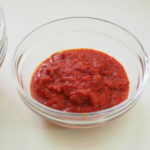 Blend the Sambal ingredients in a food processor until fine. 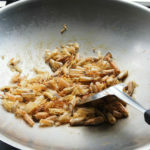 Heat cooking oil in a wok, add blended sambal ingredients and fry till fragrant and dried. 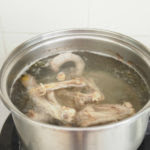 Chicken Stock - In a medium pot boil the chicken wings in high heat till boil then turn the heat down to a simmer. Simmer for 2 to 3 hours, then pass the chicken stock through a fine sieve. Keep aside. 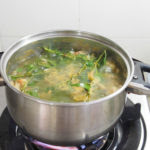 Prawn Stock – Remove prawn shell and keep the prawn meat aside. 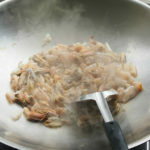 In a wok, heat up 2 tbsp of cooking and fry all the prawn shell until aromatic or turn to golden orange. 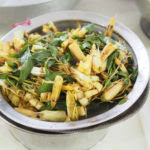 In a medium pot add water, fried prawn shell and daun kesom. 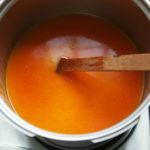 Bring to boil then turn the heat down and simmer for almost 1 hour. 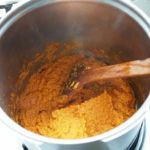 Strain the stock through a fine sieve and keep aside. 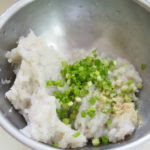 Prawn Balls – Chop the prawn meat until fine. 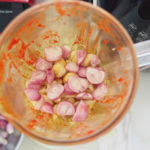 Add corn starch, chopped spring onion, salt and pepper. Mix well and set aside. 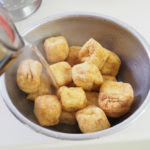 Blanch the tofu puffs with hot water to remove the oil then cut into half. 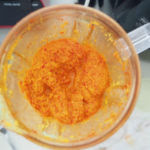 Blend the spice ingredients in a food processor until fine and set aside. 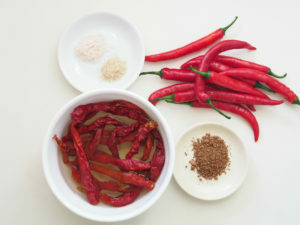 In a big pot, heat ½ cup of cooking oil and fry the spice paste till aromatic or fragrant. 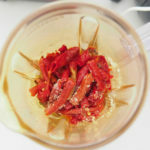 Then add kaffir lime leave. (I forgot to add kaffir lime leaves at this stage. I added after putting the coconut milk). 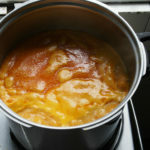 Next add the chicken and prawn stock. 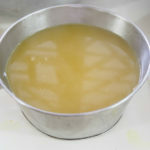 Bring the gravy to boil then add in coconut milk. 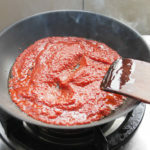 Let the gravy simmer for few minutes then add in the prawn paste. 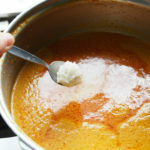 Use a rounded spoonful of the prawn mixture and shape it into a ball and drop inside the gravy. 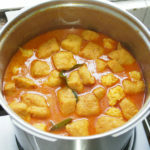 Continue cooking for few minutes until the prawn balls are cooked. 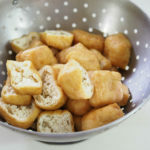 Next add in the tofu puffs. Season to taste with sugar and salt to the desired of flavour. 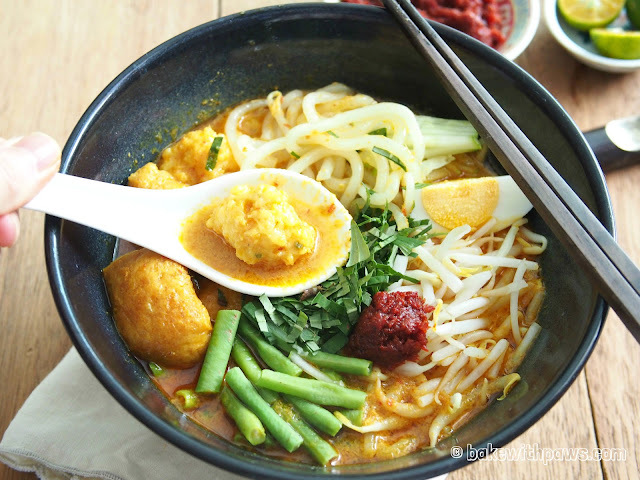 Place a serving of laksa noodles in a bowl. Ladle boiling Curry Laksa gravy over the noodles and top with a little of each of the topping ingredients. 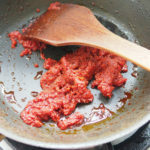 Serve with a teaspoon of sambal chillie if you want more spicy and squeeze the calamansi lime if you want a little sourness. Healthy Tasty Everyday! 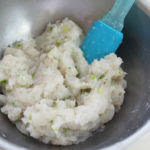 A Blog about my baking and cooking adventures and my discovery of healthy home recipes. © 2014-2018 Bake with Paws. All rights reserved.